The VW California seats and sleeps four in luxury. 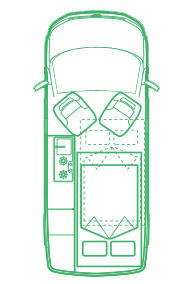 When it is time for bed, the rear bench seat folds down within seconds making a cosy place to sleep or rest, we even supply a mattress topper for added comfort. Blinds pull down for added privacy, and there is even a safety net that can be fitted to prevent small children from falling from the upper bed. The kitchen area in the California has everything you need including a two ring gas hob, sink, 42 Litre fridge and storage. The California is fitted with LED interior lights as well as 12v cigar sockets and 240v mains socket. Our VW Campervans are all VW Californias and have cruise control, air conditioning, multi-function steering wheel, iPod jack, DAB+ Radio with CD, airbags, parking sensors, electric windows, privacy tinted rear windows, heated seats, internal heater, safe and mattress topper as standard. A fantastic feature of the VW California is that with the touch of a button the roof rises and falls in seconds. You can be pitched up and making a cup of tea within minutes. 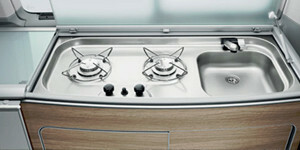 You can also raise the upper bed allowing you to fully stand up and cook on the hob with ease. 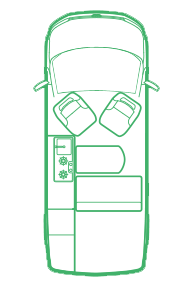 The front driver and passenger seats all swivel round, giving you plenty of room to eat and socialise. 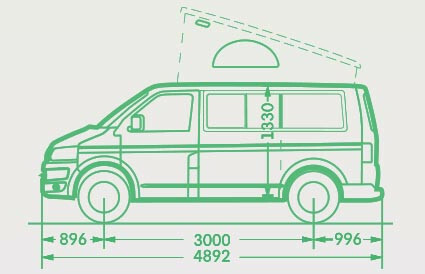 If the weather turns cold, all our campervans come as standard with a top of the range diesel heating system which can be controlled from the central control panel. The heater has various heat settings as well as a timer. When the weather is fine you can make use of the stored outdoor table and chairs and there is even a roll-out sun awning, as standard, to shade you from the sun. Our fleet consists entirely of VW California factory-built campervans. All our campervans come fully equipped for your holiday. 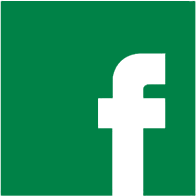 Fully comprehensive insurance is included in the rental price as well as unlimited mileage and free secure parking for your car. 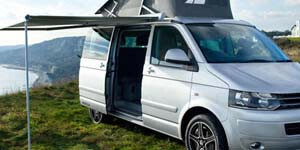 Hire one of our VW California campervans and you can rest assured you will be travelling in luxury with the highest safety standards. 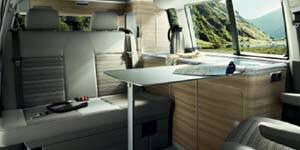 The VW California will get you to places you would not reach in a motorhome or caravan due to its compact size, it even fits into normal car parking spaces. Tea, coffee, sugar, cooking oil etc..
Have any questions? Simply drop us a line by email or telephone and we will be more than happy to help. 5 STAR LUXURY ON THE GO! 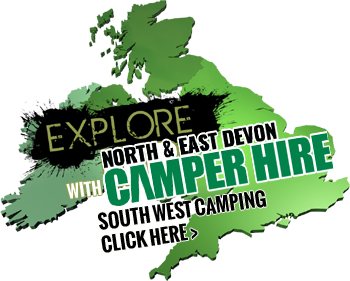 North & East Devon Camper Hire is a family owned company. 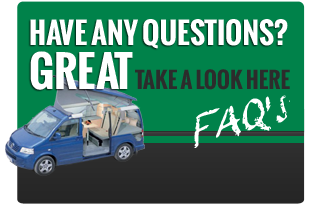 With many years of experience of the VW California. North Devon Camper Hire is a young family owned company.